With direct flights to America from London, Glasgow, and Edinburgh, fantastic options are available to passengers looking to fly to the USA in Delta’s business class. 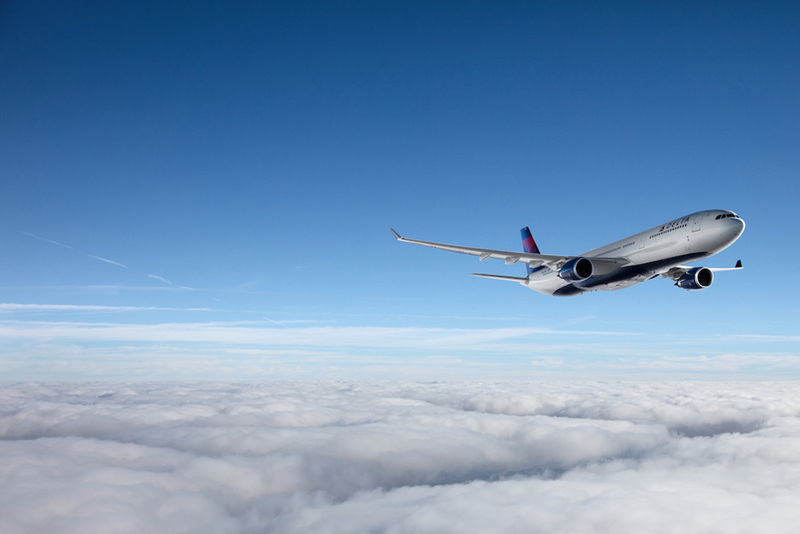 Pair this with the partnership between Delta Air Lines and Virgin Atlantic, the network of connecting flights throughout North, Central, South America, and the Pacific Ocean; Delta is a great choice for business class travel from the UK. Experience one of the top 10 2018 business class seats in the world in Delta’s business class cabin, known as Delta One®. In addition to this, passengers in Delta One experience a superior level of comfort and service from the moment they reach the airport so as to ensure a smooth and stress-free journey. Ensure you arrive at your destination well rested and book your Delta One flight today. As soon as you enter the airport, Delta One passengers can enjoy the convenience of Sky Priority® with dedicated check-in desks, fast-track security, priority baggage handling and priority boarding. Before boarding, make the most of Delta’s business class lounge, the Delta Sky Club® in over 50 locations worldwide, such as the Atlanta. 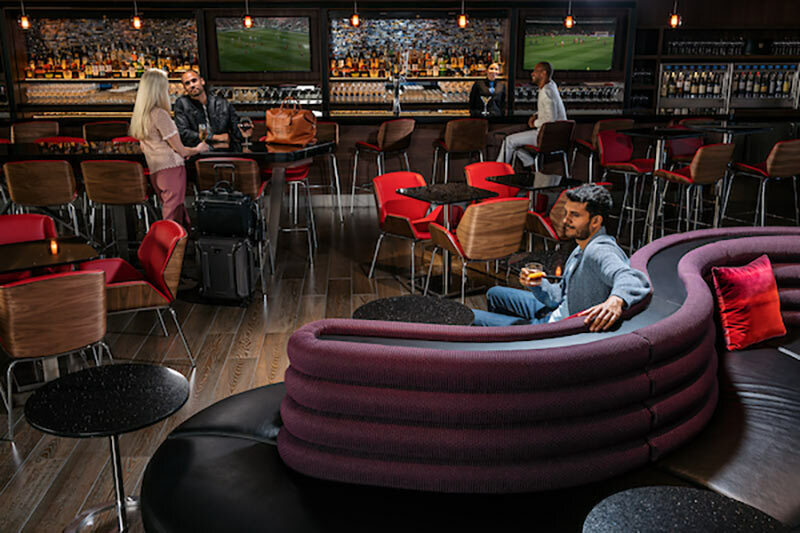 The Atlanta Sky Club is perfect for relaxing, refreshing, and enjoying a selection of complimentary food and beverages before your flight or getting the last work task completed. The lounges are a haven of comfort with an emphasis on quality customer service. Partner airlines facilities are available for UK departures where London passengers benefit from access to the Virgin Atlantic Clubhouse with its complimentary a-la-carte menu, award-winning cocktails and drinks, and spa facilities. 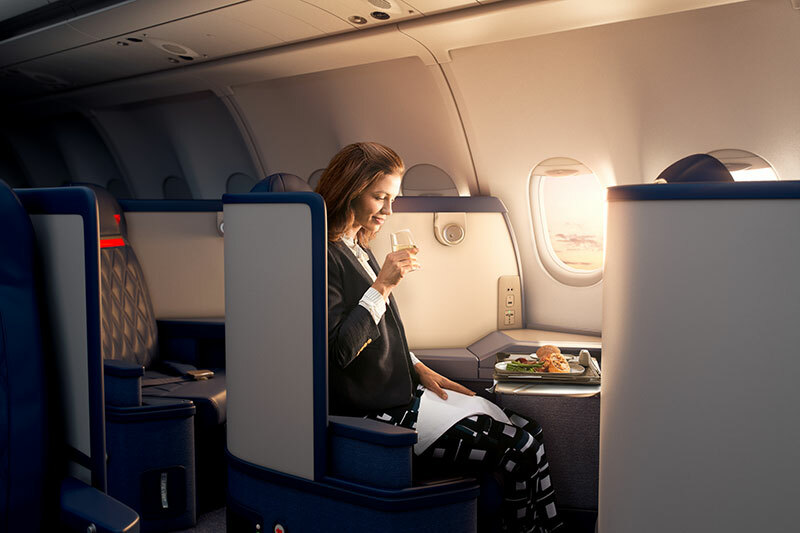 Travelling in Delta One, settle into your seat with direct aisle access that reclines into a fully-flat bed. Voted in the top 10 business class seats in 2018, the Delta One seats come complete with Westin Heavenly® In-Flight Bedding for a comfortable night’s sleep with an oversized duvet and down-alternative pillow. Dedicated Delta One cabin flight attendants will be ready to assist with dining and beverage options which include fresh regionally-sourced ingredients and chef-curated meals paired with sommelier selected wines. Relax with Delta Studio®, your in flight entertainment system with LSTN noise cancelling headsets and arrive refreshed from your Delta business class flight with a TUMI amenity kit, which includes Kiehl’s Since 1851® lip balm, and deluxe hand and body lotion. With such a wide ranging network of flights, Delta Air Lines is the perfect choice for your next holiday. Turn the journey into something memorable with Delta business class flights and explore the Boroughs of New York, see the sun set at Cannon Beach near Portland, or connect to the Caribbean or Hawaiian island of your dreams. Whether it’s a beach escape, a city break, or an American road trip adventure, Just Fly Business will help plan your getaway. Our professional and knowledgeable specialists can find the best deals on Delta business class flights, luxury hotels, car hire, attractions, and everything else to make your trip exceptional. Time is a valuable commodity and at Just Fly Business we understand this. That’s why our consultants take the stress and frustration out of organising your Delta One flights by tailoring your trip to suit your needs. With their large network of routes, you can combine multiple meetings in several cities into the one, cost effective trip, meaning less time away from the family and less impact on your business. With their specially designed seats and on ground and in flight amenities, Delta One is the obvious choice to make sure you arrive refreshed and ready for the boardroom. As Delta’s major hub in the USA, Atlanta also offers visitors a wealth of things to see and do. The birthplace of Dr. Martin Luther King Jr., the historical significance of the city is reflected in the civil rights movement. 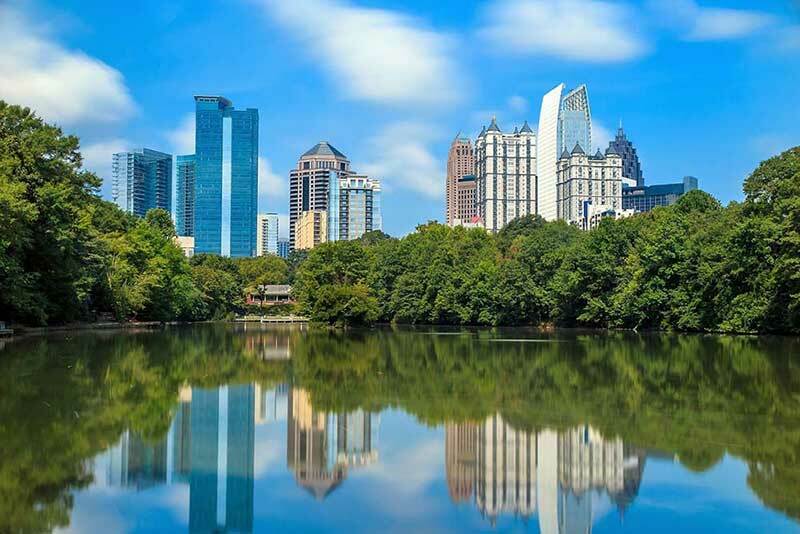 Also a major business centre, Atlanta also includes the headquarters of several Fortune 500 companies, and has a rich sporting history as the host of the 1996 Olympics as well as having major teams in nearly every major national league. 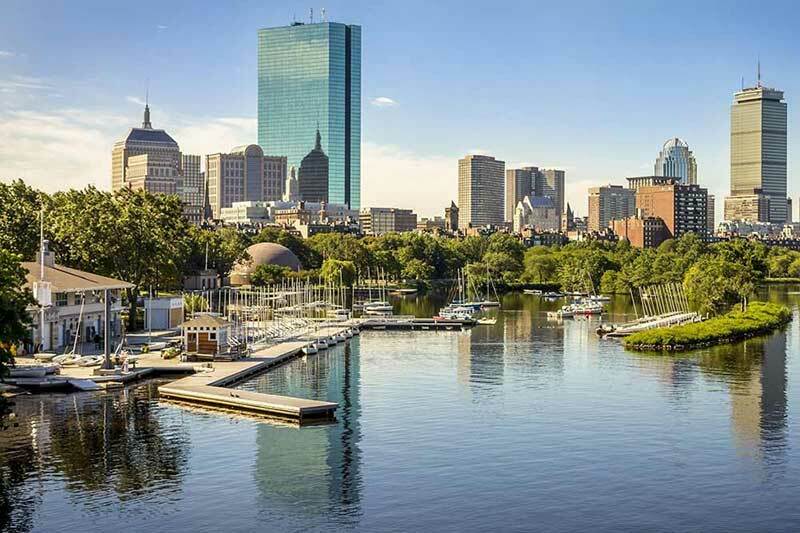 With stunning architecture, access to some of the best natural landscapes in the country, and a fascinating history depicted on The Freedom Trail, Boston is a vibrant and easily explorable city that is often overlooked by tourists in favour of its nearby neighbour, New York. Explore the harbour district, head to Harvard University, or venture further afield to Cape Cod and Martha’s Vineyard. 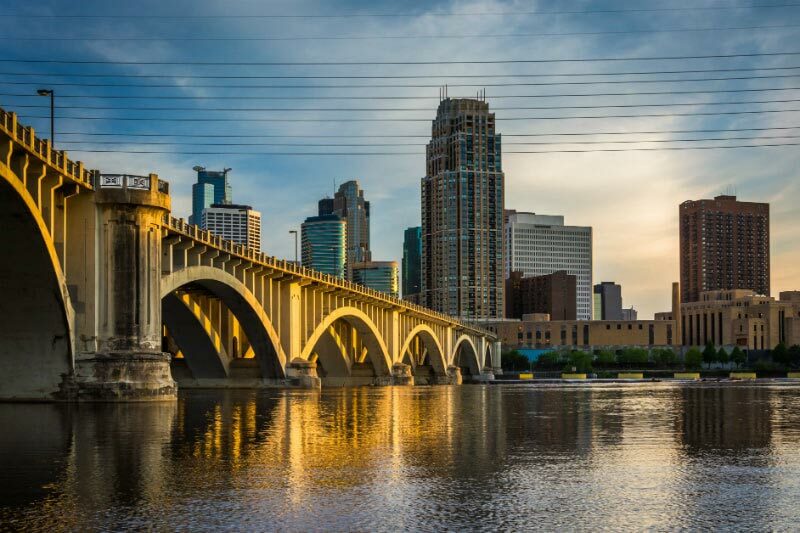 The twin cities of Minneapolis and St Paul are easy to reach with direct flights on Delta Air Lines. Visit the Guthrie Theatre and take the backstage tour, or shop ’til you drop at the largest mall in the country, Mall of America. Whether visiting on business or leisure, Delta business class flights will get you there in comfort and style. If you would like to know more about which routes and aircraft Delta One is available on, simply contact the specialists at Just Fly Business on 0208 417 1366 or enquire online. Our 98% customer service rating on Feefo shows our dedication to making sure that your next trip is not just great value, but also exactly what you require.